Joana Veneno: Honky Tonk Piano. First Long Player “The Full Enchilada” comes out May 2018 by international Sleazy Records, both formats Vynil and Compact Disc. Include 12 songs, 8 self-penned. Include the 6 songs from migainerecords 45rpm but all remastered and 3 are alternative takes with stong presence of the new instruments from his fellow musicians, fiddle, piana and trombone. Versality of music that brings you for different Roots of rockin Music. 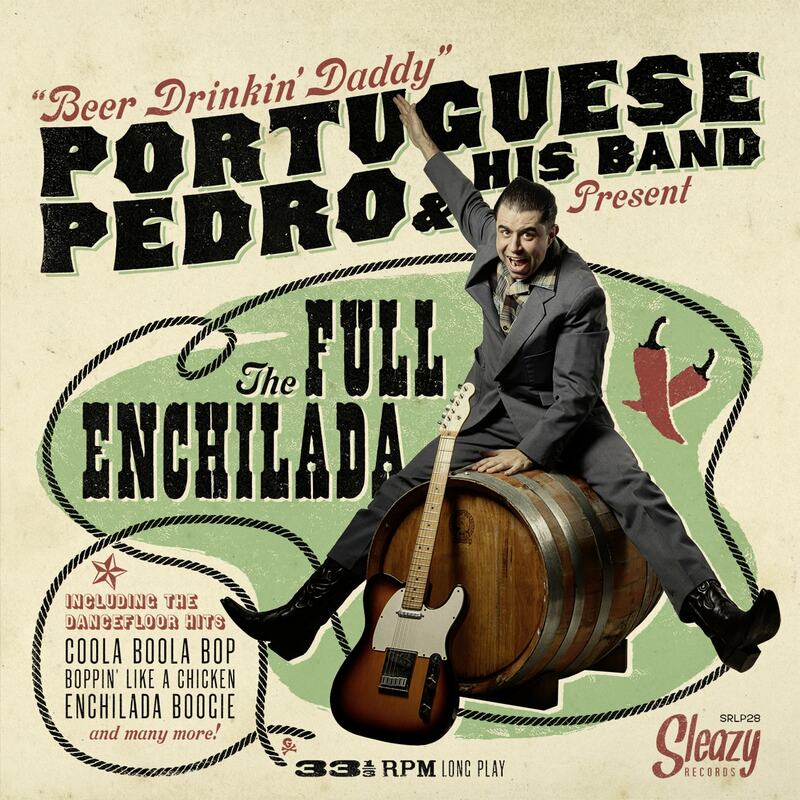 Portuguese Pedro with his 3rd 45rpm „Enchilada Boogie“, now with a full backing band and a never heard before fantastic sound. You’ll definitely need this record in your collection. So grab it while you can as it is limited to 500 copies. Released January 2018. 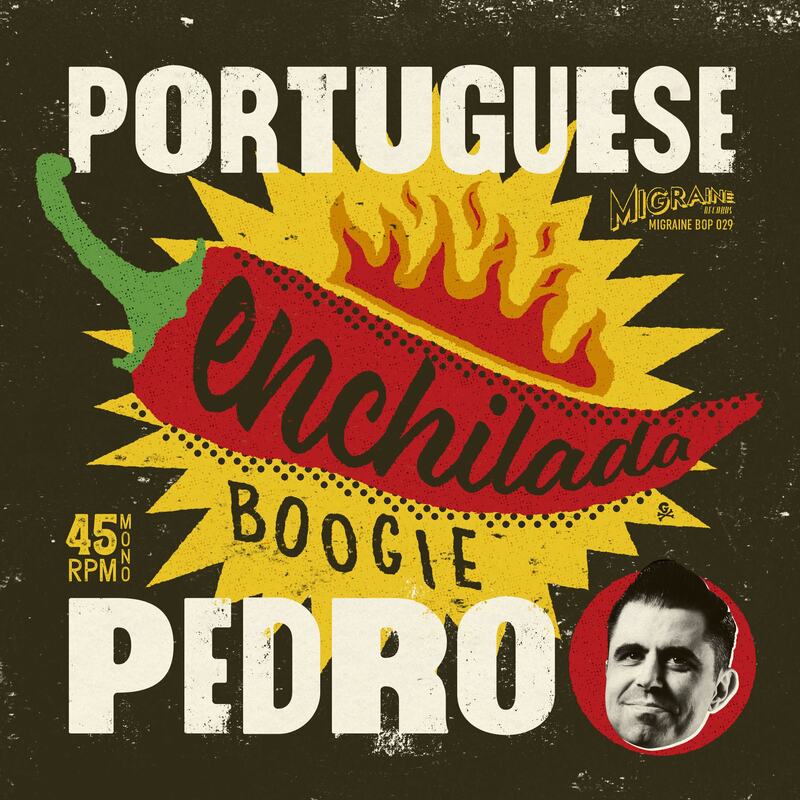 The second 45 of Portugals one and only Portuguese Pedro. 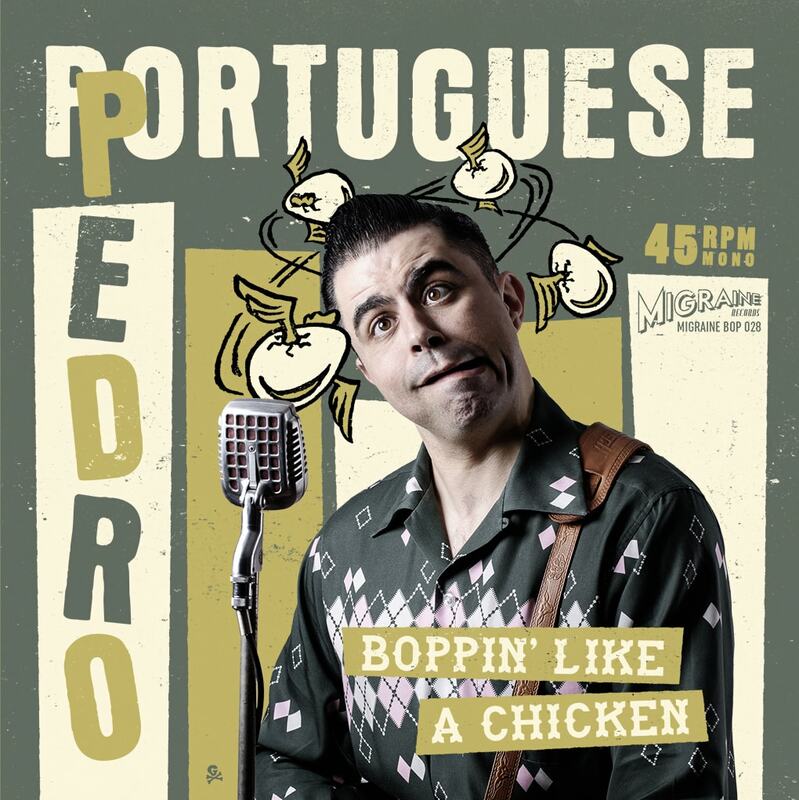 Boppin‘ like a chicken is the perfect sequel to his first record Coola Boola Bop. This one sold out very fast. As all the Migraine releases this one was also limited to 500 copies! Release date was April 20, 2017! Great dancefloor hit, been listen from Mexico to Japan. This was the debut 45Rpm in August 2016. 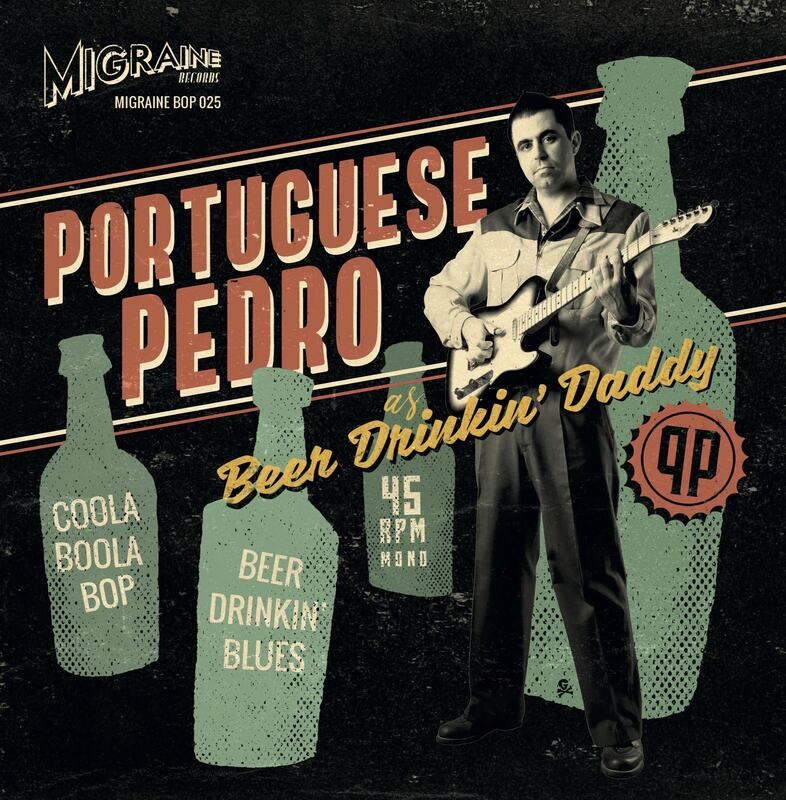 Playing all instruments by himself on this recording, his first 7″ release brings you finest Rockabilly to your ears.